To find the New York Times publishing articles heaping religious & racial abuse against Indians is so common that few care any more. And, honestly, New York Times seems to have modified its ways. Today, New York Times reporters & opinionators don’t disclose their deep hate under their own bylines or names. Now that is moved to other sections such as NYT Review of Books where India haters can wax eloquent in reviewing religious hate draped in “analysis”. This week we found an article in NYT Review of Books section that is way out there. But even that was neither novel nor surprising to us.What stunned us was a retweet of that bilge by Michael Kugelman, Deputy director of the Asia Program at the Wilson Center in Washington DC. While Kugelman’s fief includes the entire Indian subcontinent, he seems to focus on NonPak-istan. His published views are generally within mainstream US policy. He is critical of many things done & tolerated by that regime. But, like so many US think tankers, Kugelman has a soft corner in his heart for the belief systems of that regime. In particular, he likes Imran Khan, the new PM of that regime. The sad reality is that every rational person knows that the only power in NonPak is the Military and no politician can ever do or say much that goes against what the NonPak military wants. So to give Imran the benefit of doubt is to give their Military the benefit of the doubt. That is not possible because the terrorism-supporting actions of that Military over three US Presidents have wiped out all doubts. But you can’t really fault Kugelman for his entreaties. Because think tankers often develop a stockholm-type syndrome. In following a regime or country, they often get enamoured by it. Witness the “India should be more charitable to NonPakistan” suggestion by Richard Haass of CFR in his book. So what led us to say Et Tu to Michael Kugelman? His tweet broadcasting a hateful and totally false article about India in the NYT Review of Books. We were stunned just as stunned as we would if we found an analyst broadcasting an article whitewashing what Slavetraders did to slaves, or what German Nazis did to Jews & Slavs. Imagine Kugelman broadcasting an article whitewashing Hitler by saying Hitler “employed more Frenchmen his administration [in occupied France] than any prior German ruler by a substantial margin” and praising Hitler for being secular because he “supported French Christian religious practices in numerous ways“. No one would tolerate Kugelman broadcasting whitewashing of Hitler in this manner. But Kugelman not only tolerated similar hateful bilge from NYT Books but actually broadcast the bilge via Twitter to his network. Of course Kugelman would not whitewash Hitler but he did broadcast the whitewashing of Timurid Mongol Muhi-ud-din who called himself Aurangzeb, the jewel in the crown. This man was probably the worst of all Muslim occupier rulers of Delhi in the Mughal era. History is absolutely clear about him. He massacred as many Hindus as he could get away with; he forcibly converted as many Hindus into Islam as his minority government could; he destroyed the major historic Hindu temples through out North India; he even demolished the Muslim Shia sultanates in South India just for being Shia. He was the most virulent ruler of the Salafi school that permeates today’s Saudi Arabia. Should such a man be idolized for creating modern-day India, consolidating the country into a sovereign political unit, establishing a secular tradition in law and administration? NYT Review of Books thinks so and Kugelman broadcasts it to his network. Heck, this crap is the preserve of Lashkar-e-Toiba (LeT), the terrorist organization that planned & carried out 26/11 attack on Mumbai in 2008. Has Kugelman has gone so deep into love of Pak-i-stani concept & regime that he now broadcasts LeT type hate? Sure, the hate was published by NYT Review of Books and quoted a Rutgers extremist “professor”. But why would Kugelman broadcast it unless he believed in it? Michael Kugelman‏Verified account @MichaelKugelman Nov 27- This is a detailed and troubling read about school textbooks in Rajasthan that glorify fascism & malign Muslims. Everyone in India and in the Indian Diaspora should read the article titled India’s Dangerous New Curriculum written by some Brit-colonial afficianado named Alex Traub and published in nybooks.com. It is an article that combines the bigotry of both colonial regimes that occupied & plundered India and massacred countless India – British White Colonials & Afghan-Uzbeki Muslim Colonials. The one regime that combines this dual hatred of India & Indians is the notorious Pak-i-Stan or land of the spiritually pure regime, the regime Michael Kugelman follows for a living. And via his tweet, Michael Kugelman shows he doesn’t reject this dual Brit-white & Uzbeki-Muslim hatred of India. Has Michael Kugelman heard of an author named Megasthenes and/or a man named Alexander of Macedonia? Because Megasthenes described a modern state across almost all of India back in 4th century BC. India has drawn on the treatises on StateCraft that were compiled in 4th century BCE and today’s Indian flag proudly carries the Chakra of that era. Since then to 1,000 CE, India has had several modern states that made India the richest,. most scientifically advanced & powerful country in the world. But Kugelman doesn’t need to know that or accept that. Actually he is right. Because knowledge of facts can be so inconvenient when “following” the NonPak army and its LeT compatriots, right? How can you be a pro-“Pak” analyst when you realize your subjects are so rotten? How can you demand benefit of doubt for Imran Khan unless you fill your mind with falsehoods? 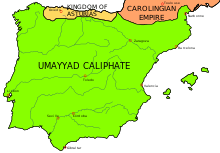 Since Kugelman is white, let us look at another country in another continent that was “secularly civilized” by Muslim invaders, a region they called al-Andalus. 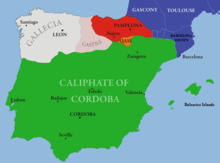 Muslim conquest & occupation of European Spain began in 711 and continued until 1492. But no one today argues that Muslims did much to create modern-day Spain. No one calls those Muslims “secular” or applauds their architectural creations. They were bad Muslims because they occupied white Christian lands, they were non-secular & forcible convertors because they converted white Christians. They were bad Muslims because they destroyed Christian Churches and built Mosques in their place. But Uzbeki-Afghan Muslims who ruled North India from say 1198 to early 18th century are termed as “secular” by some white writers even though every such Muslim regime massacred tens of thousands of Indians and erected Mosques by destroying Indian temples. And what did White Christians of Spain & Portugal do after they defeated & overthrew Muslim colonial rule? They destroyed Mosques and rebuilt Churches the Muslim occupiers had destroyed. They gave converted Muslims in their lands a choice – convert back to Christianity, leave or die. In contrast, what is today’s Indian government doing to re-establish Indian culture & history in India? They are only correcting textbooks that were forced on students by the British colonial regime, textbooks that carefully removed all real achievements of pre-British & pre-Muslim India. Kugelman has not written or tweeted a single criticism of the forced reconversion of Muslims into Christians in Spain & Portugal, not one syllable of criticism about rebuilding Churches by destroying Mosques or about killing of Muslims who refused to convert to Christianity. Instead, Kugelman broadcasts his deep concerns of Indians simply redoing their textbooks? Talk about different standards for white Christians and brown Indians? Wonder if he agrees with Churchill’s description of Hindus as “beastly people with a beastly religion”? Such contempt allowed Churchill to be unconcerned about deaths of several million Indians in Bengal & Bihar in 1942 by arguing it is better for stout Greeks to live than starving Indians. Such contempt allows LeT & their masters in ISI to massacre innocent Indian civilians & now Afghani Shia Muslim civilians as a mark of religious faith. And these Pak-i-stani people deserve “benefit of the doubt” according to Michael Kugelman? We hope readers see how stunned we are to discover this side of Michael Kugelman, a man we thought was sensible, rational & fair. But that might have been our naivete. After all, we do see and now know how deep anti-Indian hate is among the entire fraternity known as US Think Tanks. Fortunately for both America and India, the Trump Administration is clear-headed about NonPakistan and India has now a clear vision of what NonPakistan must become. General Bipin Rawat, Chief of the Indian Army, said this week “Pakistan will have to become a secular state to have better relations with India“. By the way, it seems Michael Kugelman doesn’t approve of President Trump either. So now every US Think Tanker we follow hates both President Trump & Indians. Can any one give us a counterexample? Finally in the tradition of this Blog, we invite feedback from Mr. Kugelman about our opinions of his broadcast of the NYT Review of Books article. Any “public” response will be printed verbatim. We hope we are wrong about you, Mr. Kugelman. Show us how, would you? Send your feedback to editor@macroviewpoints.com Or @MacroViewpoints on Twitter.